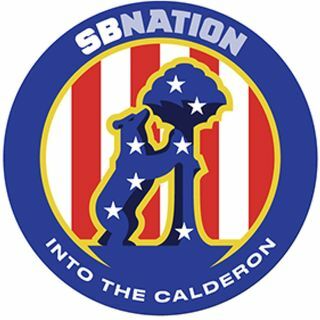 The jubilant Rob Walker (@rwalk03) is a staff writer at Into the Calderón and the guest on this edition of Colchonero Chat. He joins Into the Calderón site manager Jeremy Beren (@JBBeren) to discuss Atlético Madrid’s 3-0 win over Basque side Deportivo Alavés on Saturday. Rob takes a break from celebrating Atlanta United’s MLS Cup win to help break down how Atlético beat a good Alavés. The podders analyze Nikola Kalinic’s promising performance, the Rodri-Thomas duo’s effectiveness, Antoine ... See More Griezmann stepping up once more and Diego Simeone’s substitutions. They also talk about the possibility of Gelson Martins’ departure and Football Leaks revelations regarding Yannick Carrasco’s controversial exit last spring. Then, the guys fast-forward to Tuesday, when Atlético travel to Belgium to take on Club Brugge. Rob and Jeremy debate the merits of finishing first in Group A versus finishing second and offer their scoreline predictions.